From 19 Jan 2018 ComfortDelGro cabs are now on Uber! 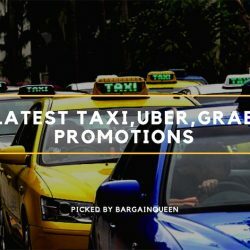 Get a ride faster and cheaper by 10% with UberFLASH! 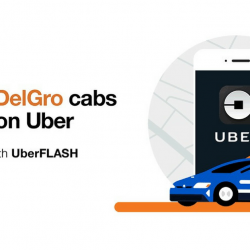 Uber has announced that they have partnered with ComfortDelGro, Singapore’s largest taxi company to bring you UberFLASH! Beginning 19 January 2018, get a ride faster with UberFLASH – a new product in the Uber app that matches you to the nearest uberX or ComfortDelGro taxi so that you can get a ride faster at an even more affordable price. Enjoy up to $5 off UberFLASH rides with coupon code from now till 10 Feb 2018! 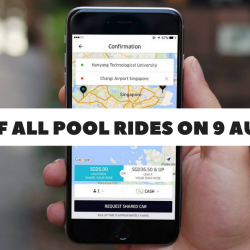 9 Aug 2017 Uber: Enjoy 52% OFF All Pool Rides on National Pool Day! Leave your car at home this National Day. Because as #OneNationTogether, we can move towards a car-lite future without traffic and parking problems. To start, you can ride on uberPOOL at 52% off on 9 August. So whether you ride with Uber, hop on a bus or a train, flag a taxi with friends, use other ridesharing apps, or cycle about, let's leave our cars at home and ride together as one nation. Help us spread the word and join us this #NationalPOOLDay. Updated 14 Jul 2017 Save on Your Taxi Rides with These Latest Coupon Codes from Grab, Uber & ComfortDelGro! Updated 7 Jul 2017 Save on Your Taxi Rides with These Latest Coupon Codes from Grab, Uber & ComfortDelGro! Updated 6 Jul 2017 Save on Your Taxi Rides with These Latest Coupon Codes from Grab, Uber & ComfortDelGro! 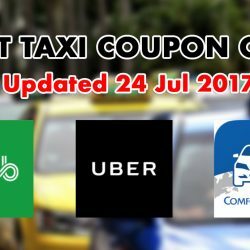 Updated 4 Jul 2017 Save on Your Taxi Rides with These Latest Coupon Codes from Grab, Uber & ComfortDelGro! Updated 30 Jun 2017 Save on Your Taxi Rides with These Latest Coupon Codes from Grab, Uber & ComfortDelGro!